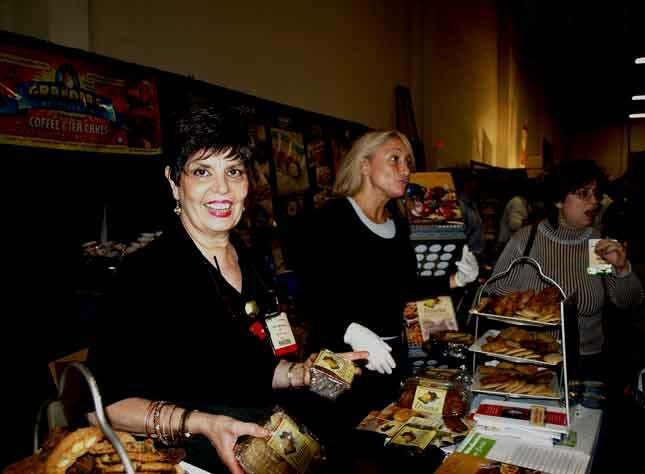 Today was the opening day for Kosherfest at the Meadowlands Exposition Center, in Seacaucus (NJ). Not only was the number of exhibitors bigger than ever, but so was the attendance. There is no question that the kosher consumer is more and more demanding, both in the number of items as well as in their quality. I only stayed for a few hours, as I had prior obligations so I decided to go for some unusual or otherwise interesting items. 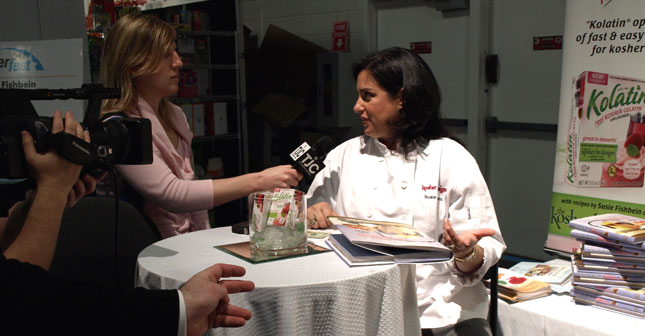 First, however, we decided to meet some of the cookbook authors we reviewed recently and had interviewed over the phone and on radio. 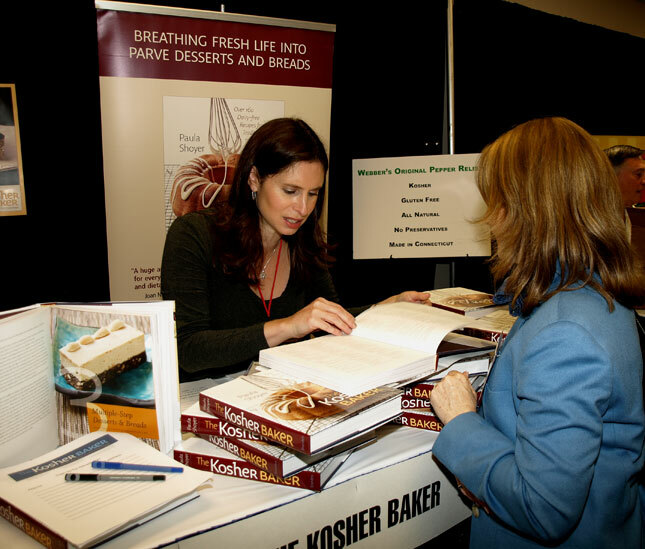 Paula Shoyer, recently had her The Kosher Baker published by Brandeis University. It is one of the most beautiful kosher cookbooks both SYR or I have ever seen. We reviewed a pre-publication copy of her newest – Kosher by Design Teens and 20 Somethings (due to hit the stores on October the 27th!) – yesterday. Kah Tequila... guaranteed to get your attention! 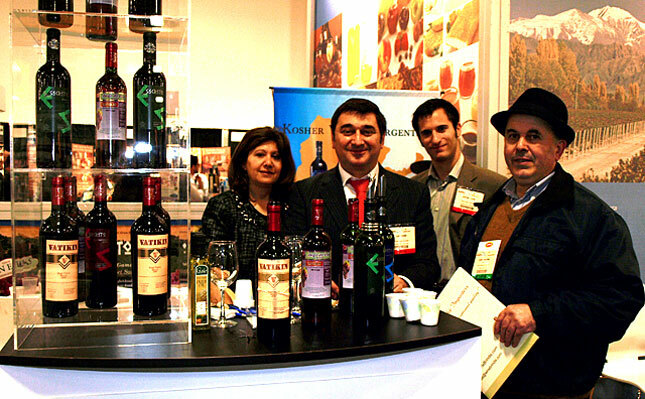 Next I did a tasting of the Secreto line of wines from Argentina. I first tried their Malbec (80% Malbec – Argentina’s most famous wine grape – and 20% Cabernet Sauvignon); I followed it with their Cabernet Sauvignon (80% Cabernet Sauvignon and 20% Malbec); next I tried their Trivarietal (50% Bonarda, 25% Malbec and 25% Cabernet Sauvignon). I found all three to be excellent selections, especially in their price range ($10-$12). I then saw a line of medicinal teas from Spain, Helps by Pharmadus. 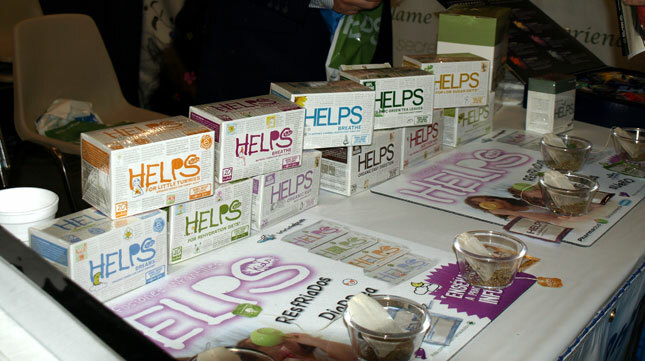 A nice line of special teas for children, women's needs, and a whole lot more. Next we saw Tammy Polatskek‘s new line of superbly designed dishes under the Carmona label. 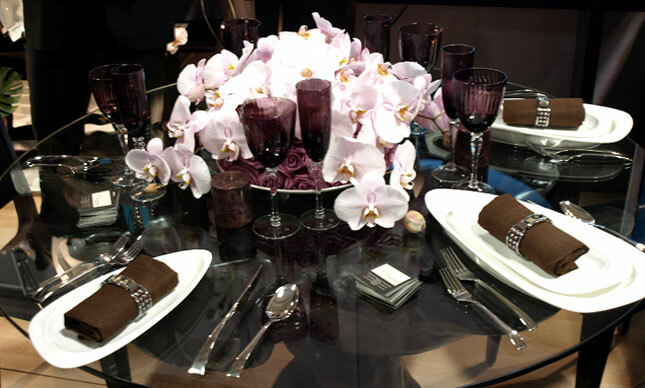 Beautiful, contemporary shapes that will greatly enhance the pleasure of any meal, the beauty of any table. 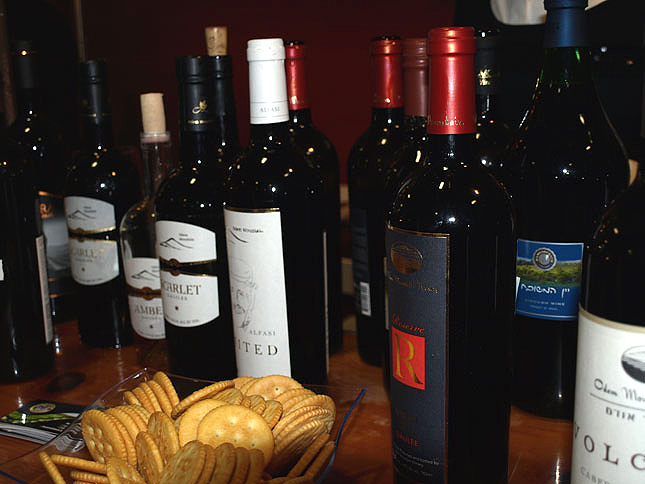 They distribute Israeli wines from from small boutique wine producers like, Odem Mountain Winery, Or Haganuz Winery, the Mony Estate Vineyards, Dovev Winery, Hameshubach Winery, and the Efrat Winery. 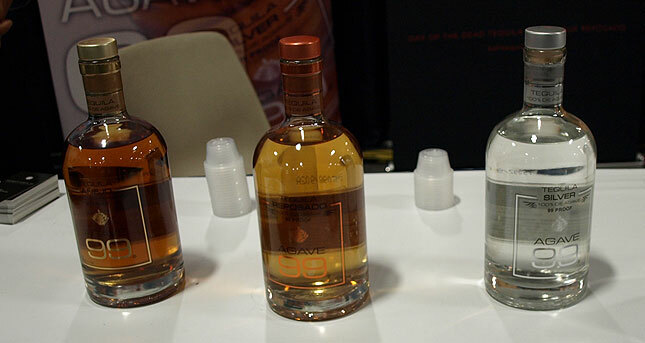 Their selections were quite good, I was familiar with some of their labels already. We didn’t cover as much as we would have liked, especially after some very interesting products we sa, but I’m going back tomorrow and I expect to cover far more ground. A good friend, originally from Samarkand in Uzbekistan, – a college professor who teaches in Manhattan – invited me to a melave malkah last night at his daughter’s house, not far from me. The main features were Uzbeki lamb based delicacies, samsa (round meat pies filled with lamb) and manty. Mix the lamb, the onions, the salt and pepper in a bowl. When well mixed take a small quantity and put it on one of the square pieces of dough, close up the dough in the shape of a ball. Bake for 30-40 minutes at 350° F, until a golden brown crust has formed. There were six of us at the table and there was plenty, including leftovers, for everyone of us. For taste variations you may use any other meat and your own favorite spices. When you’ve bitten into a round pie sprinkle some vinegar/olive oil on it and enjoy! The wine that accompanied our meal was a delightful Argentinian non-mevushal 2007 Flechas De Los Andes Gran Malbec. This wine has a lovely floral lift with intense, smooth, chocolatey black fruit. It has plenty of nice mouthfeel and presence, very rich on the finish. All in all a delightful evening, with great company, great food and lots of good conversation.